We Clean Carpets Really Well. Q - How much do you charge? A - We are very competitive and our quality speaks for itself. A cheap price doesn't always equate to a great job. We pride ourselves in the quality of our work. ​Q - How long have you been cleaning carpets? A - We have been in the carpet cleaning business for over 20 years. Q - What type of carpet cleaning machines do you use? A - We are a commercial grade mobile mounted carpet cleaner serving Nipissing area. Q - Where you formally Sears Carpet Cleaning? 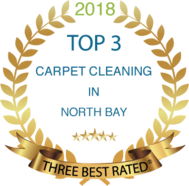 A - Yes (Cardinal Carpet Care) was formally associated with Sears Carpet Cleaning and this website is a referral site for Cardinal Carpet Care/Cleaning. Q - What type of carpet steam cleaner do you use? A - We are a mobile mounted high pressure and suction steam cleaner. Q - Do you steam clean upholstery? A - Yes one of our specialties is cleaning upholstery in your home. Q - Do you remove pet stains or odors? A - This is a tricky question. Yes we can remove pet stains on your carpet or area rugs. However it may be hard to completely remove the odor. Q - Where are you located? 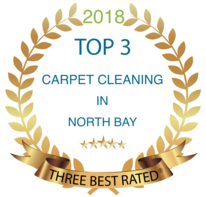 A - We are you North Bay Carpet Cleaners located in North Bay Ontario and serving Nipissing, Sturgeon Falls, West Nipissing, Cache Bay, Mattawa, Verner, Lavigne and many other surrounding areas. Q - Do you offer carpet cleaning rentals, like a Bissell carpet cleaner or carpet shampooer? A - No we do not rent carpet cleaning machines. Q - What happened to Kingsbury Carpet Cleaning? A - We understand that Kingsbury Carpet Cleaning has closed their business. Q - Do you have any carpet cleaning tips? A - After 20 years in the business we have lots and lots of great tips. Give us a call today at 705-482-0370 and let's see if we can help you. Q - Do you have any Groupon carpet cleaning deals? A - Because we are so competitively priced we have a 5% discount coupon if presented during booking. You can find that coupon right here. Q - Can you give a carpet cleaning quote over the phone without seeing the carpets? A - Yes, we need the square footage or approximate room size to determine the cost of your shampooing.